Many young Somalis in Islington are not in education, employment or training, and are then marginalised and fall prey to criminals and become involved in activities such as drugs, petty crime and anti-social behaviour. These young people find they cannot avoid the gangs and external help is often needed to re-engage them in positive activities. ISC Links works with Islington Community Safety Partnership, the Police, the Youth Service, parents and young people to tackle social problems and increase community safety in Islington. Progresses unemployed young people into training and jobs. 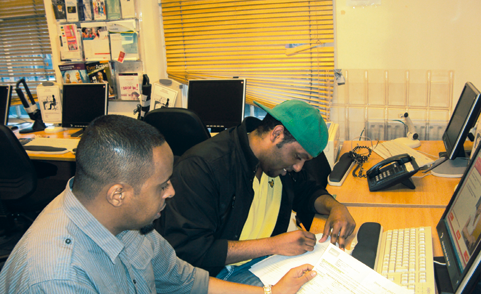 Amir says: "Since I started to attend ISC Links Job Club I saw many changes in myself. ISC Links activities have allowed me to become much more confident in terms of communication with others and I have developed talents that I did not know I had."